As some of you know, the Rickeybird and I are both bird artists. 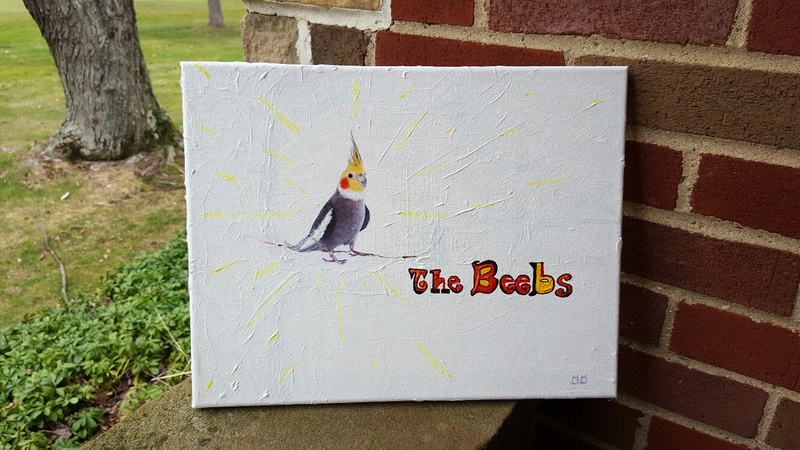 I am a person who does bird art, and he is a bird who... does person art. 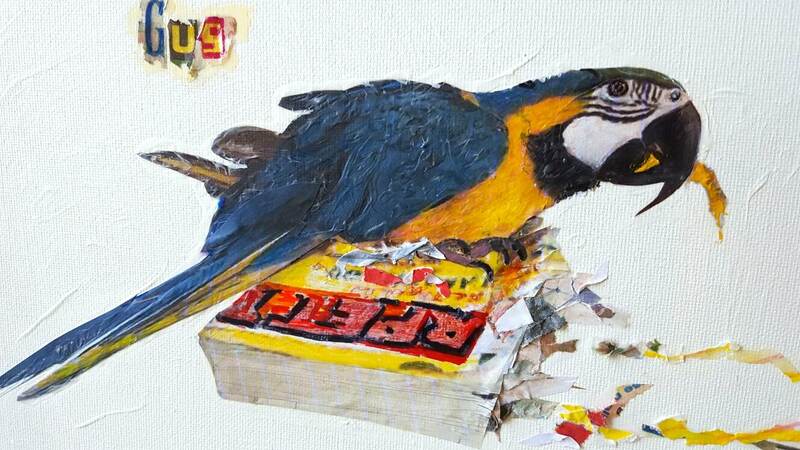 I do realistic mixed-media portraits of indvidual pet birds, among other things. Rb does... shall we say... unconventional textile art? Quite a few of you have already patronized our "gallery". 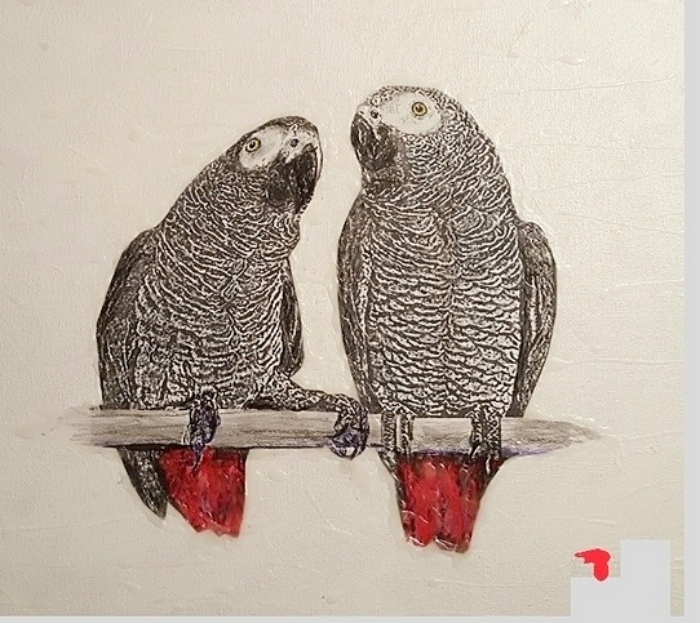 Even if you're not in the market for bird art, I'd love to show off some of our recent works! For the links, please just send me a private message! 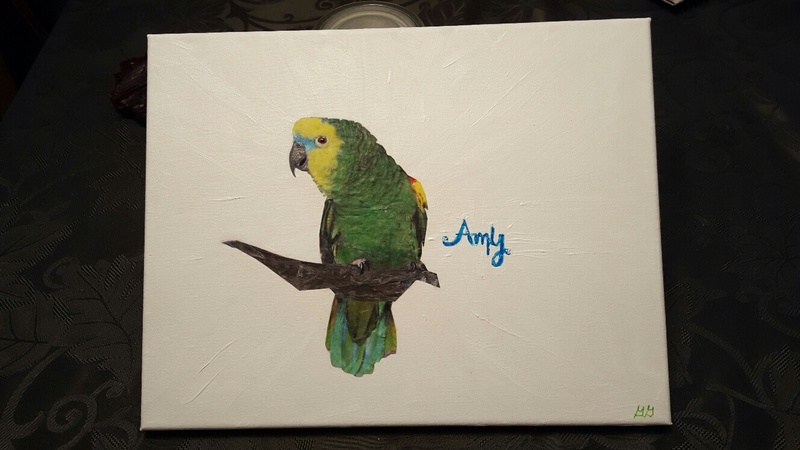 Re: Bird Artists, Bird Art! 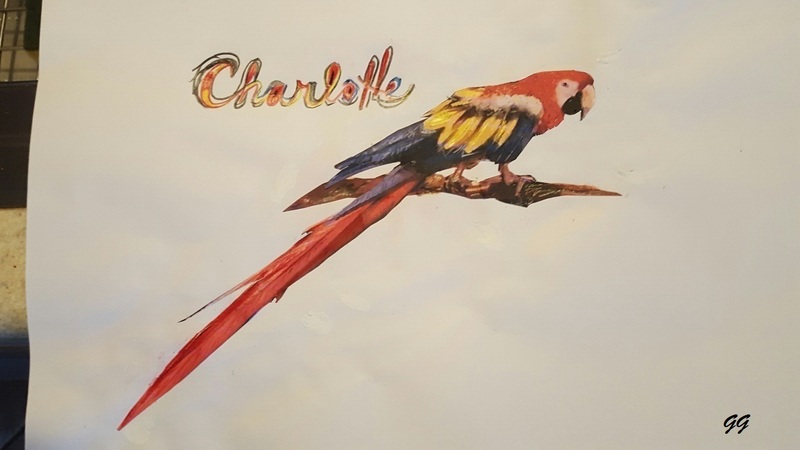 I have heard a rumor that there is a showing of one of this Artist's 'Works' scheduled for presentation on the Parrot Forums some time this coming week. The exact day has been withheld pending final approval of the featured Amazon. The word is that the private showing was extremely well received by his Support Staff. In a statement release yesterday, the featured Amazon suggested that on the day of the up coming presentation that the Artist (The OP of this Thread) will likely be quickly booked out and the Wise Bird Owner should make reservations now to assure a timely delivery! A sneak look may be possible by PM the Artist to view it and her other wonderful works!!! Of course, I have insider knowledge on these things, since I fraternize with Amazonster Snobsters regularly. My lips are sealed, and the Rb's beak is... well... open, but nobody believes a thing he says anyhow. Oh btw, I'm a bird artist too, and here's a sample of my work. Gail, your work is amazing! I can't wait for the top secret showing this week! It's truly a labor of love. 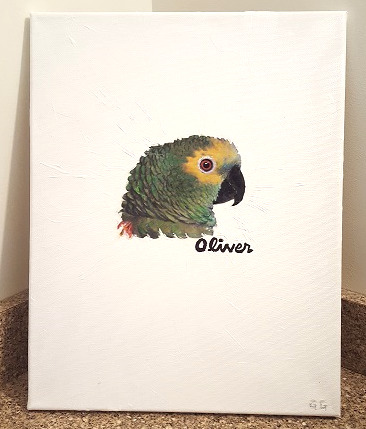 I fall in love with every bird I paint. Rival... that's not art. It's HATING! 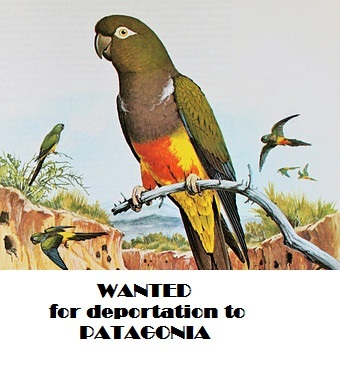 Thanks to the parronts who participated, and the parrots who posed. Since the Rickeybird wont let me have any other birds, this is the only way I can add to my "flock", ya know. Thanks for letting my show my darlings off. I'm in love with every one. I love seeing them all in one place! 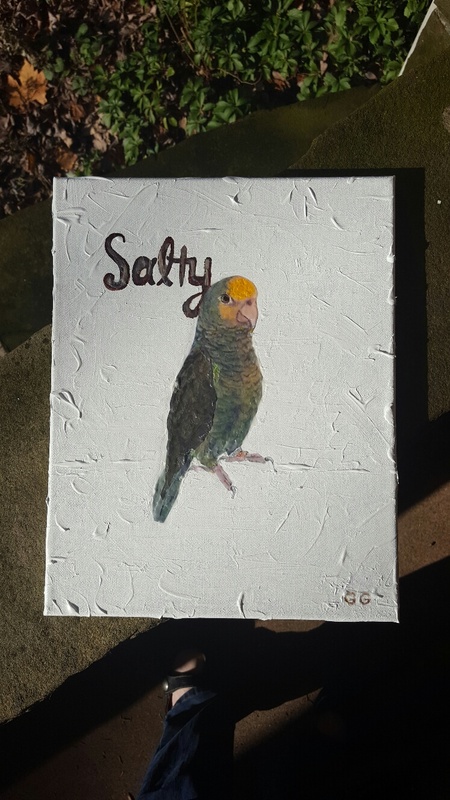 I was going to say of course the ones you did for Gus and Oliver are the best, but man... Salty is so cute! The Beebs is so sweet! They're all great! Amy looks ready to step up and Julio is getting ready to say something good...Smokey's thinking about something, Charlotte was ready to fly off but you got her attention for a second...Harry and Toon are up to something, and Bob looks like a jewel. Wow, wow, wow! I agree completely with your analysis! Yes, I'm stealing from my Good Friends Post! So well said! It needed to be repeated! Regarding our Julio's work: We spend several days looking at that Art piece. There was something more there and it wasn't until late on the third day that it came to us! 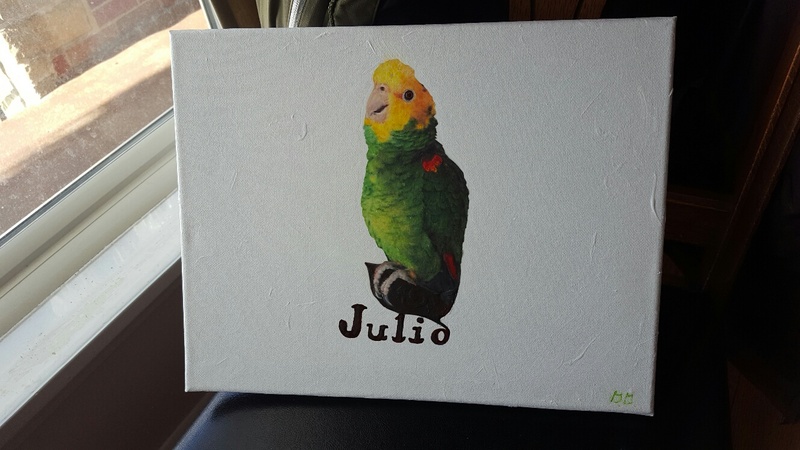 Julio is happy! Thanks again Gail, for your heartfelt work!